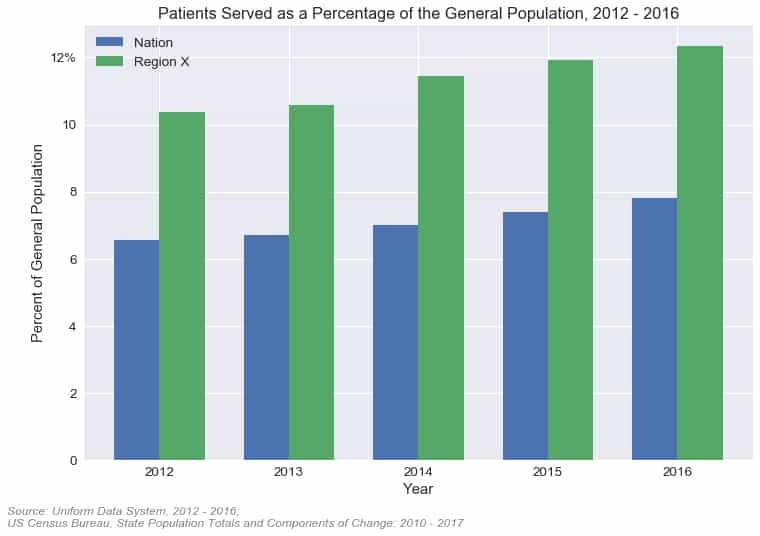 Since 2012, health centers across the nation have steadily increased their patient populations, serving 22% more patients in 2016 than they did just four years earlier. Health centers in Region X are no different. The number of health center patients served in Alaska, Idaho, Oregon, and Washington increased from 1,359,042 in 2012 to 1,703,473 in 2016. 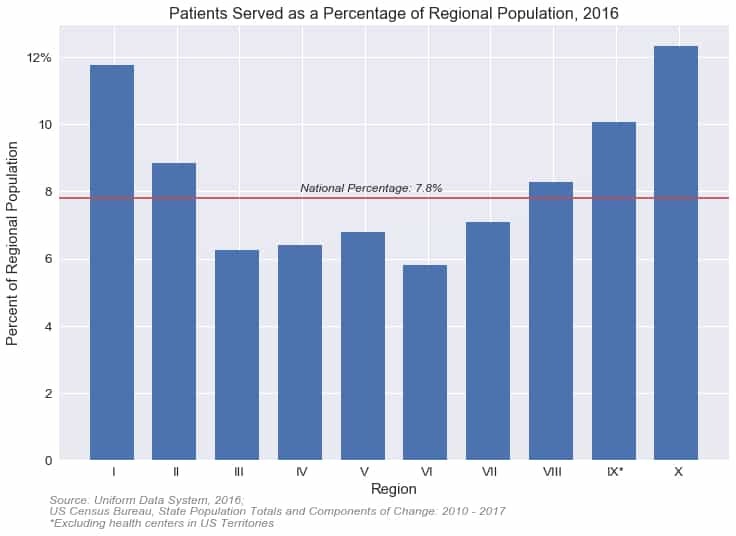 What makes Region X unique from the other HHS regions is the per capita rate of patients served. Nationally, approximately 8% of the general population were served by health centers in 2016. In Region X states, however, approximately 12% of the population were served by health centers. That means that health centers in Region X serve a greater share of the public than any of the other HHS regions. At the individual state level, all four of states in Region X have higher than average percentages of the public using health center services, something that's been in effect since at least 2012. The findings come from the annual Uniform Data System reports that health centers submit to HRSA each year and US Census population estimates. Because some patients can be treated by different health centers and because some health centers serve patients residing outside their state, the numbers are just estimates. Nonetheless, they attest to the extraordinary efforts of Region X health centers in bringing affordable care to more members of their communities.